We are so excited to announce that Add-on items are back! We are constantly thinking about ways to enlarge your exposure and Create a unique listing without competition so we are pretty sure you would love our latest development - Add-on item multiplier! This feature will allow us to automatically detect add-on items for you, auto-multiply their quantity to reach above 25$ per order for free shipping and bundle them together into a single listing. We have decided to calculate the aggregation so it will reach 29$, this to prevent a situation where the multiplier price will go below 25$. Since those items are unique and will have no competition the profit range will be set to the max % in your global settings. 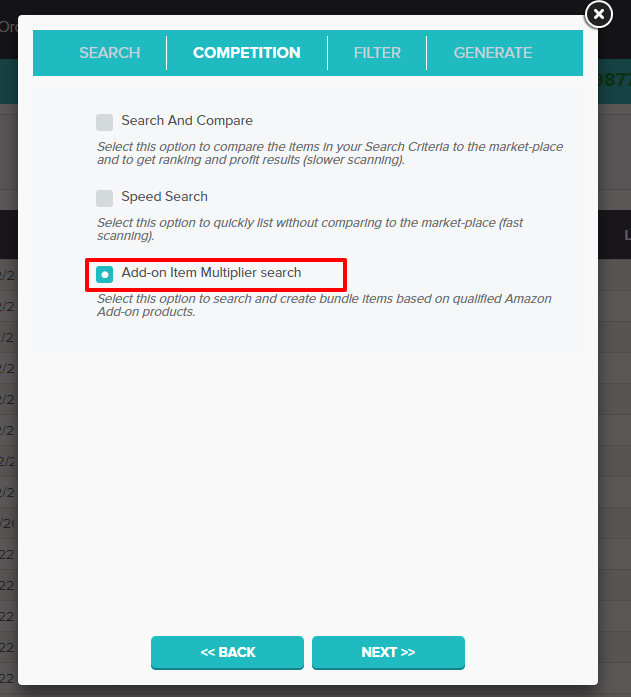 Then you can start scanning Amazon URL'S using our Locator & Listing wizard. 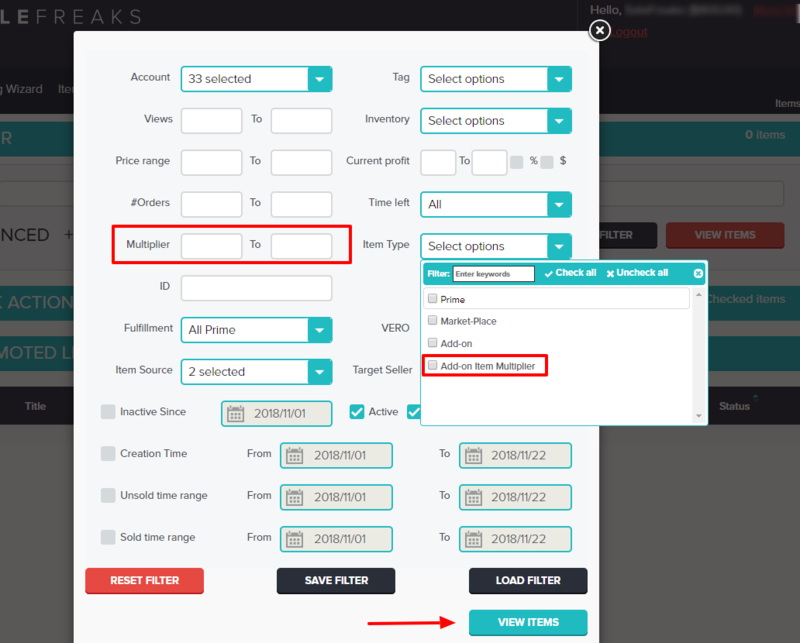 Copy the URL to the argument box as usual and choose "Add-on Item Multiplier search"
Once listing the items, please note that items that won't qualify for your Maximal Add-on item quantity per listing will be failed to list. Those items will also be flagged with Add-on Multiplier logo. The quantity will be mentioned in the title and represented with a photo collage.